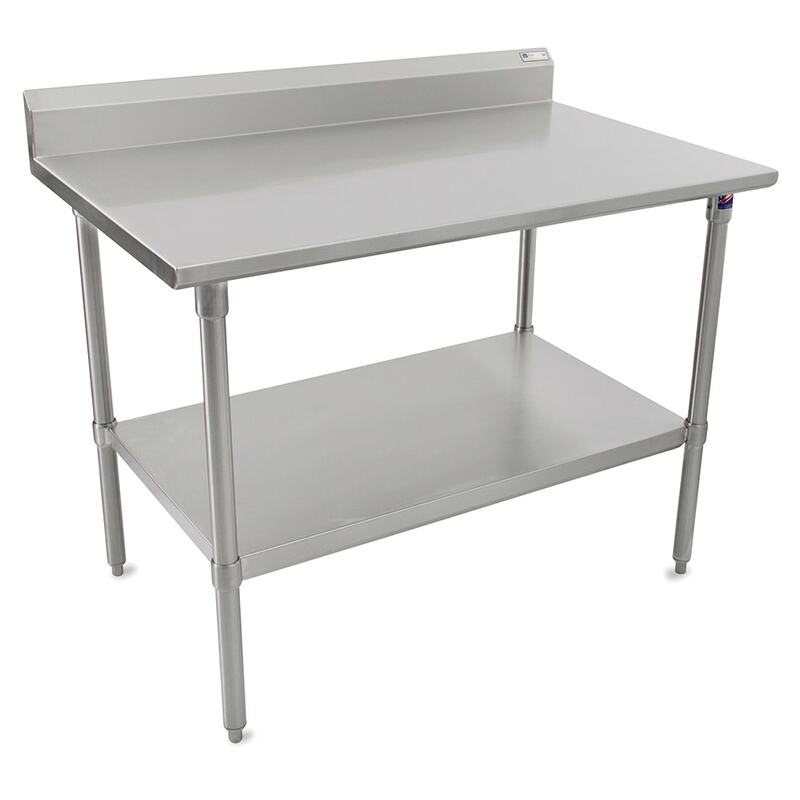 The stainless steel construction of the John Boos ST6R5-3030SSK work table provides rust resistance and strength for heavy use. The top has extra durability since it is reinforced with a 1-inch-by-2-inch channel and is TIG welded. If there are any exposed welds on the unit, they are polished to match the other surfaces to create a smooth, consistent look. Messes are contained to the top by the 5-inch-tall backsplash. This John Boos ST6R5-3030SSK work table can be placed flush against other surfaces since the side edges turn down 90 degrees. 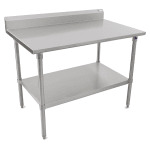 Our stands and tables article has more in-depth information on work tables and their uses.